Every year, the IRS TE/GE Division issues a public work plan. The 24-page “Tax Exempt and Government Entities FY 2017 Work Plan” contains guidance about employee plans, government relations, and tax-exempt bonds, but we’ll focus on just a few elements that relate specifically to how the IRS proposes to interact with nonprofits and charities. Under the provisions of the Affordable Care Act (Obamacare) passed in 2010, the nation’s 2,870 nonprofit hospitals became subject to a new section of the Internal Revenue Code (IRC), Section 501(r). Nonprofit hospitals are required to perform a community health needs assessment (CHNA) at least once every three years, they are required to have financial assistance policies in place, limitations on charges for emergency care, and refrain from “extraordinary collection practices” before determining whether a patient meets financial need criteria. The Work Plan says that, as of June 30, 2016, the IRS has completed about 700 reviews of nonprofit hospital Form 990 returns and referred 166 for field examination. This is an amazing singling out of nonprofit hospitals, considering that less than one percent of all returns are typically referred for examination. The reviews will continue in FY2017, according to the plan. It is not unreasonable to assume that all nonprofit hospitals will have their Form 990 returns reviewed for compliance with the Affordable Care Act and IRC Section 501(r). Traditionally, nonprofit organizations claiming to be 501(c)(4) social welfare organizations did not need to apply for tax exemption before engaging in operations. Instead, they could simply file a Form 990 and declare they were 501(c)(4) organizations and let the 990 substantiate that status. The reason was pretty simple: 501(c)(4) was originally designed as a “miscellaneous” category of nonprofit. If your organization didn’t fit as a 501(c)(3) charity or any of the other 25 or so types of nonprofit, it could elect to be a 501(c)(4). With the significant growth of 501(c)(4) organizations and, more significantly, the political activity of many of these groups established in the wake of the Citizens United decision in 2010, a requirement was enacted last July to require 501(c)(4) groups to file a federal form notifying the IRS of their intent to operate as a 501(c)(4) social welfare organization. The IRS is continuing its implementation of Form 8976, Notice of Intent to Operate Under 501(c)(4). The information required is pretty basic: business name, address, EIN (tax ID number), date organized, state and country organized, filing year/month, and statement of purpose of the organization. There is a $50 filing fee, and the IRS must respond to the notice within 30 days. Basically, the form helps the IRS better track the creation of new 501(c)(4) organizations and potentially helps assure they file their first required Form 990 in a timely manner. First, the IRS is declaring the “short form” for federal tax exemption, the 1023-EZ, a big success. The backlog of applications for tax exemption stood as high as 65,000 three years ago and approvals routinely took more than a year. Now, the IRS reports determinations taking less than 30 days. Moreover, sample testing of the 1023-EZ indicates that there are relatively few errors, omissions, or deceptions involving filers. Form 1023-EZ applications accounted for almost 60% of all exemption applications in 2016, will no doubt be even more popular with small nonprofits now that the filing fee for the 1023-EZ has been reduced. Another feature of the applications process is that the IRS now returns incomplete applications—complete with the filing fee—to applicant nonprofits, discontinuing its previous practice of opening a file and working with the applicant to provide missing information. This reduces the number of pending applications, making the backlog appear even smaller. The introduction to the Work Plan is curious in that it sets a tone of hitting the reset button, both internally and in terms of taxpayer/customer service. There are themes of transparency, efficiency, and effectiveness stressed in the document’s introduction. Transparency has a slightly different definition for the IRS from that used by most nonprofit organizations. The IRS is focusing its transparency efforts on educating its staff and the public on tax requirements, thereby informing, by inference, how the IRS does its job. However, the execution doesn’t quite live up to the promise. 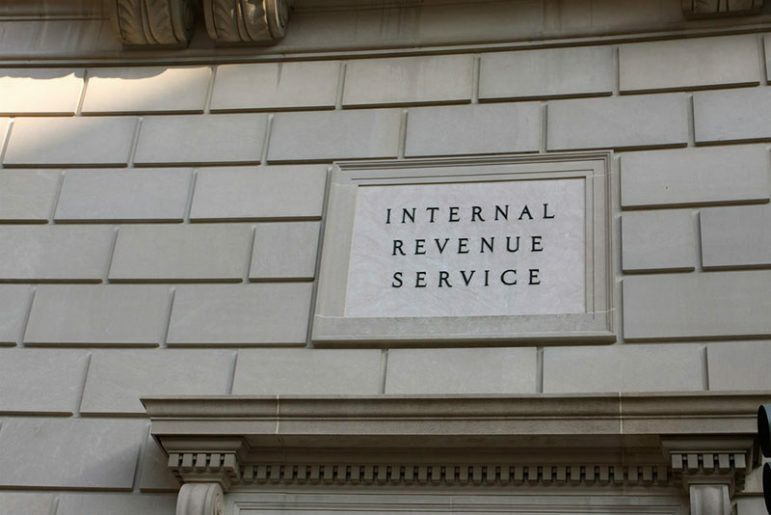 The IRS Electronic Reading Room referred to in the TE/GE Work Plan points to an information portal for all manner of IRS documents, including a link to “issue snapshots” on a few topics related to charities and nonprofits.